The big annual bike tour around Bainbridge Island, the Chilly Hilly. It seems appropriate that the first entry in our museum of classic events is the ride that takes place right outside of our own front door. 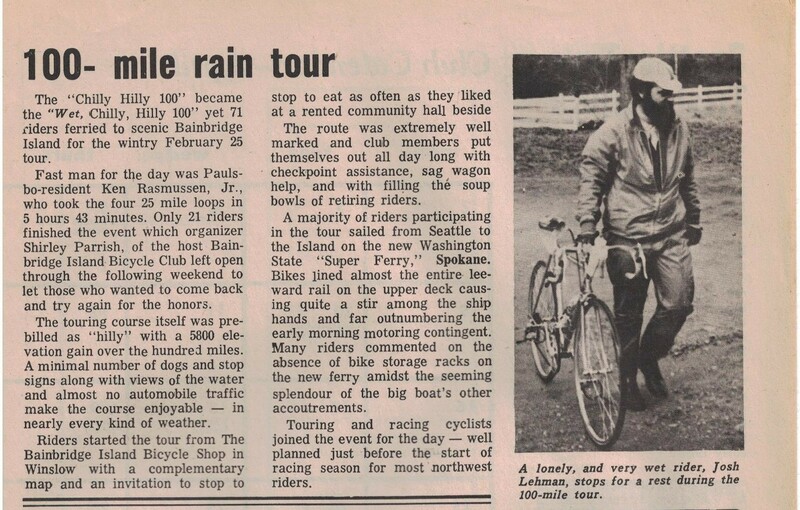 Actually, for a lot of people the ride starts on the deck of the Seattle ferry, but by the time they turn in front of our store they realize that they’re underdressed or that their bike doesn’t work so they start in front of Classic Cycle after those concerns have been addressed. So the Chilly Hilly is a bike tour that circumnavigates our home, Bainbridge Island. It’s a route that you can do anytime that you want, of course, but there’s something special about riding the actual event. The ride takes place on the last Sunday in February each year, with late winter weather virtually guaranteeing the “Chilly” part of the name. Better call it “Hilly” too, with a route that repeatedly runs from sea level up to 300 feet and back down again, totaling 2700 feet of elevation change. Wiggling around the edges of the island, the course has changed a little over the years, but has mainly stuck to the paved secondary roads and narrow lanes that roughly follow Bainbridge island’s outline on a map. For the first twenty years or so the lumpy route ran 36 miles around the island, with a southern extension that traversed the steep Toe Jam Hill climb before resuming the route that we know today. The 22 percent average gradient on the Toe Jam climb was never especially popular with the riders. Omitting the slippery and steep hill, organizers shortened the route in 2003 to the friendlier 33 miles that we have today. 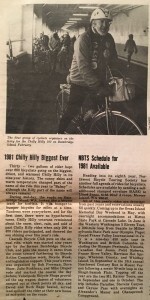 The Chilly Hilly was first organized and ridden in 1972. Like most bike tours and races, it was started by a small group of riders who said “Hey, what if we…”. Rick Nakata of Bainbridge Island says that for a couple of years the Chilly Hilly was actually called the Chilly Hilly 100 and was comprised of four 25 mile laps on the island. From a humble beginning, the participation steadily grew from just a few dozen riders in the beginning, to thousands today. 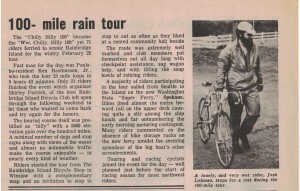 In 1975, the first year that Cascade Bicycle Club organized the ride , there were 75 riders. 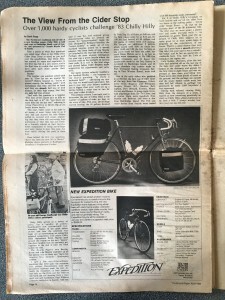 In the ’80′s the numbers jumped up dramatically, with 5000 cyclists getting out on the road for the 1992 edition. The Chilly Hilly has become one of the more famous bike tours in the country. 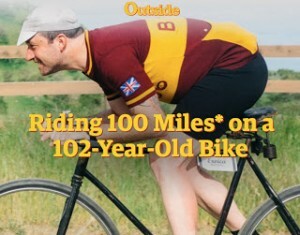 Bicycling Magazine named the Chilly Hilly “One of Four Classic Rides” in the nation, and each year there are participants from the far reaches of North America. Want an to see what the ride is all about? Check out this great video from the 2012 Chilly Hilly. 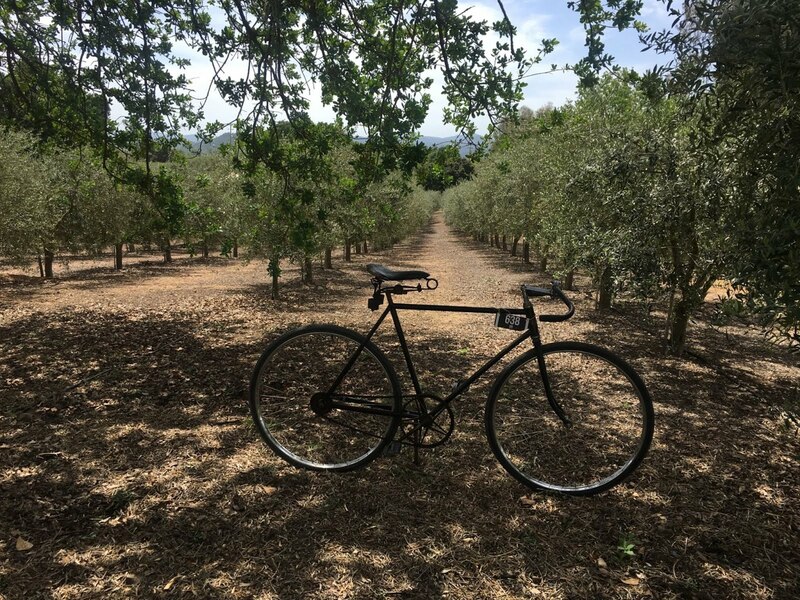 Back in April there was a wonderful bike adventure called Eroica that took place in Paso Robles, California. For the event, participants had to embrace old bicycling technology, and we were all required to ride vintage bicycles and drink a lot of wine. Eben Weiss, a.k.a. BikeSnobNYC, borrowed a bike from Jeff’s vast antique bike collection (thanks again Jeff!) and rode the event. And then wrote about the experience. 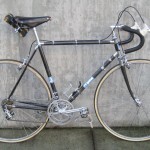 The BikeSnobNYC blog is a little harder to archive, but you can go here: http://bikesnobnyc.blogspot.com/ Just scroll down to the June 13, 2018 entry. We have a lot of vintage bikes in the shop so it’s natural for people to wonder if we ever ride them. We sure do. A few of our vintage bikes get dusted off and ridden around town, usually to a coffee shop and back, nothing spectacular. Sometimes a few lucky old bikes (and their riders) get to do a real ride, like the “Eroica” vintage bike ride that happened this month in Paso Robles, California. The rules of the ride are simple: Bikes, clothing and component technology from 1987 or earlier (the mid ‘80’s is when Lycra, carbon fiber, ski-binding style pedals, mountain bikes and integrated brake/shift levers forever changed our sport). The ride is held in wine country, so naturally the route features rolling hills, some gravel roads, olive trees and most importantly: wine at the rest stops. It was a great weekend. Keeping with the historic theme, my riding partner Don Schilling and I took the train to Paso Robles. The bikes selected? 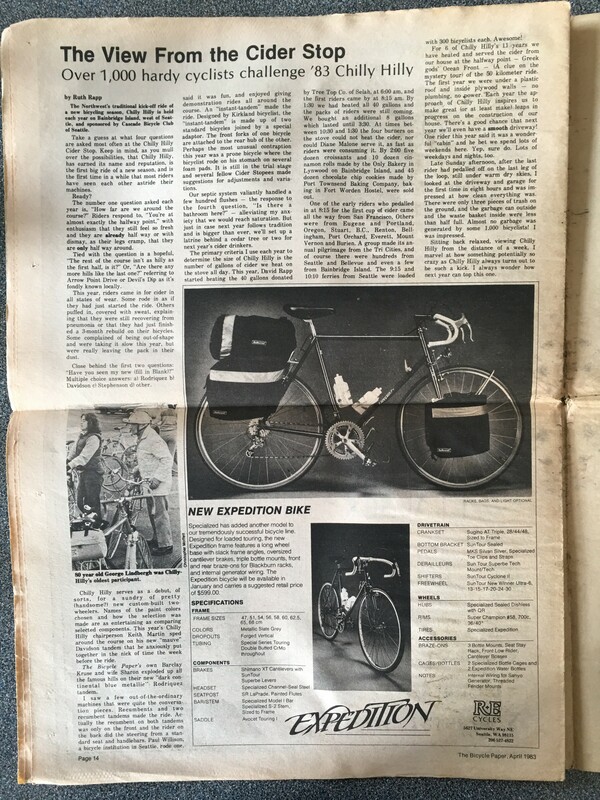 I thumbed my nose at the spirit of the ride and selected an early carbon fiber bike to ride (1978 Exxon Graftec). 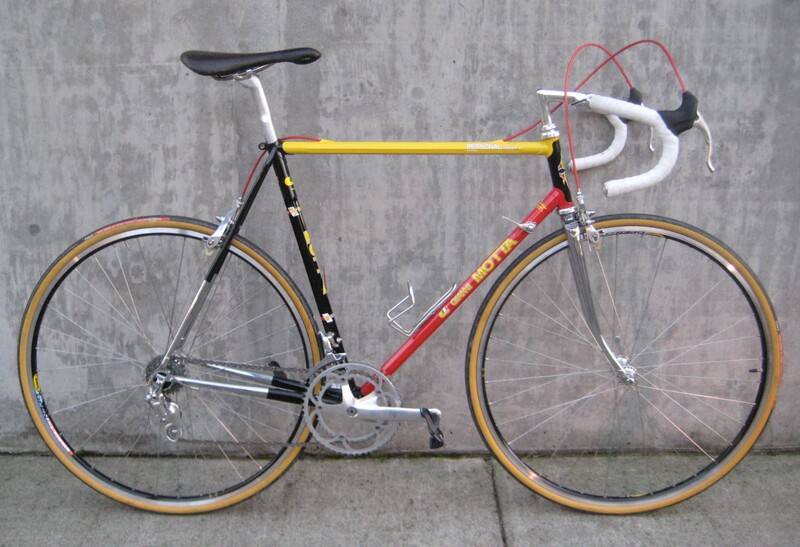 Don rode his early ‘80’s Gianni Motta (coincidentally, so did our friend Jeb Thornberg). Bob Freeman, formerly of Davidson Cycles was there, but we failed to note whether he was riding an old Davidson or one of the vintage Jack Taylors from his collection. Bike historian (and vintage bike collector) Jeff didn’t attend, but he set up Eben Weiss (a.k.a. BikeSnobNYC) with a 1916 Mead bicycle, and Mark Petry rode a new Joe Sales custom steel bike that was outfitted and designed like it was built in 1965. So how did the ride go? The weather was beautiful. A few hills had to be walked due to soft gravel, steepness of a climb or laziness of the rider. Hands cramped from pulling old brakes and dealing with old handlebar shapes. Modern gear range and shifter precision received renewed appreciation. Toe clips and straps were cursed for the foot discomfort and the clumsiness they instilled. 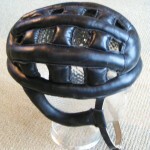 Wool jerseys and leather hair-net style helmets? They were quite comfortable, thank you very much. 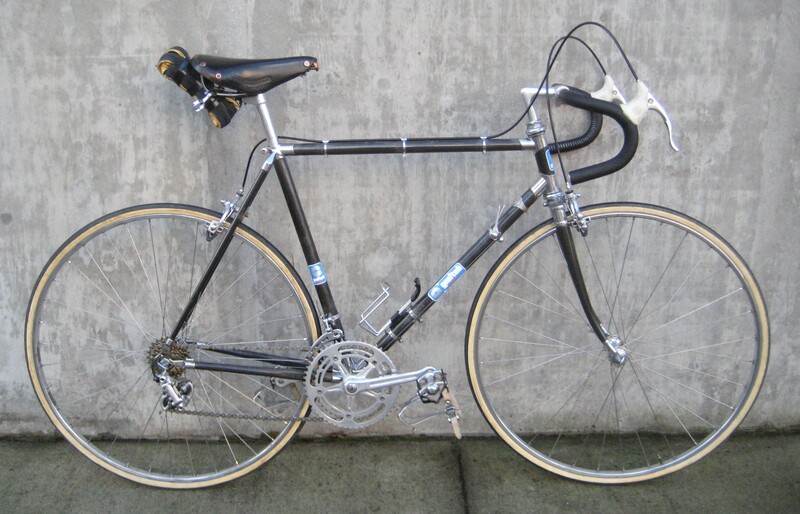 The weekend included much drooling over old top-end bicycles and components. We got to rub elbows (sometimes literally) with cycling celebrity (Andy Hampsten, Joe Breeze, David Lettieri, Eben Weiss). We Pacific Northwesterners got to exchange an extremely rainy weekend back home for some California sunshine. We drank a fair amount of wine. Eroica California was a great way to experience a different era for cycling. The old racing bikes in our museum share a number of things in common. A lot of them have wooden rims, sure. Pop Brennan or Willy Apelhans may have built a number of them, sure. Nearly every one of them has sat above the bar at the Harbour Pub, but that’s not what we’re getting at. 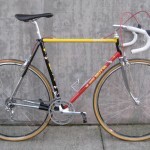 We figure that most of the track bikes that we have were raced on the East Coast (that’s where most Americans lived in the first half of the last century). 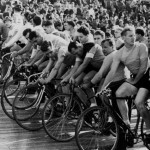 Of those bikes that were campaigned before WWII we guess that almost all were raced at one time or another on the Newark or Nutley New Jersey velodromes. 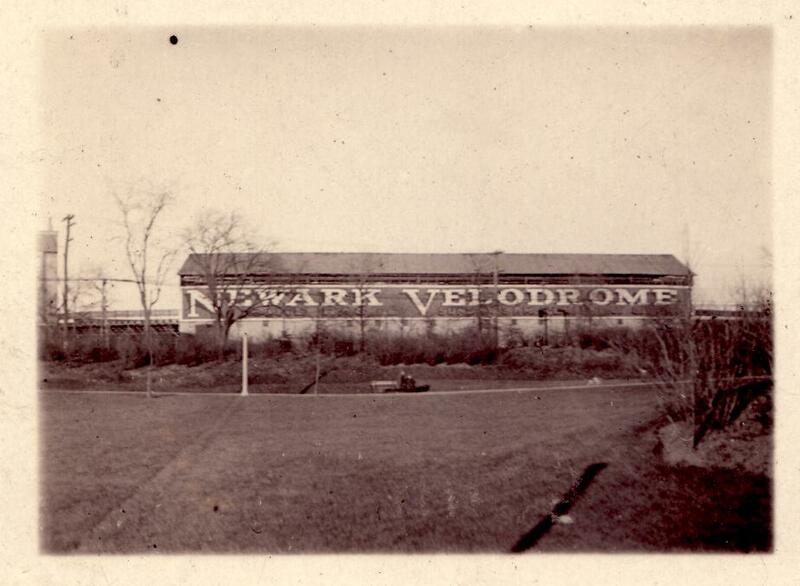 The Newark Velodrome was a wooden bicycle track and grandstands located on South Orange Avenue in Newark, New Jersey. 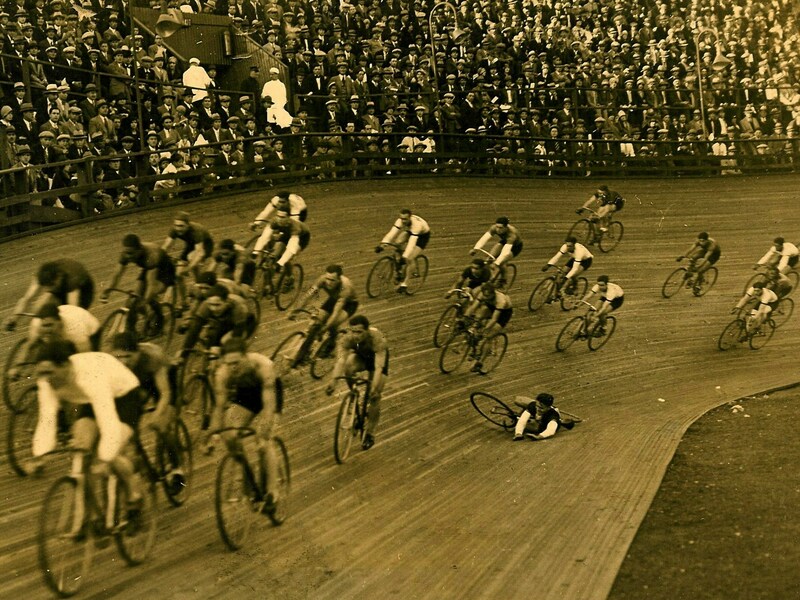 Today most velodromes that are built for Olympic-level events measure 250 meters in length. 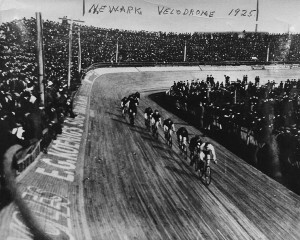 The Newark track was six laps to the mile (about 300 meters). 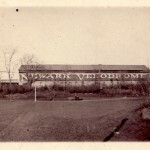 The Newark track was built in 1907, and would be the premier racing venue for two decades. 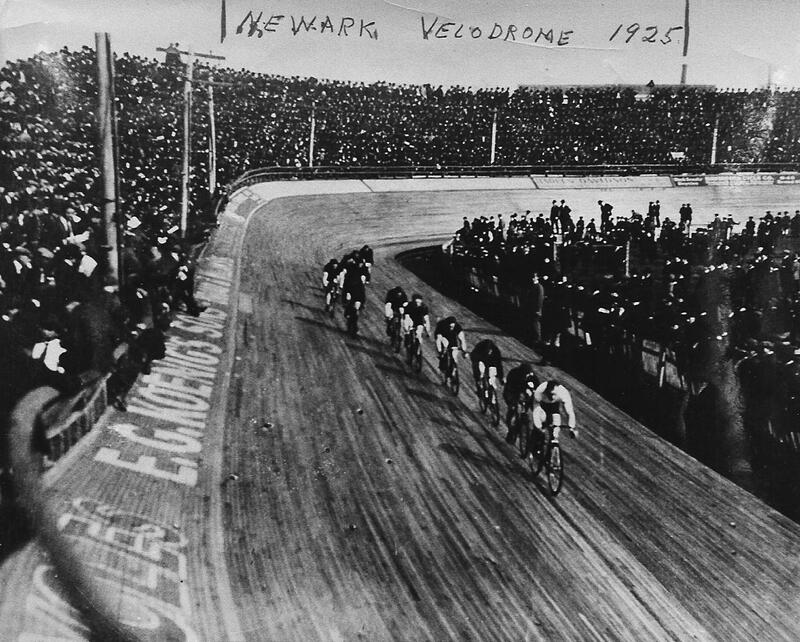 In 1912, the world championships were held in Newark. 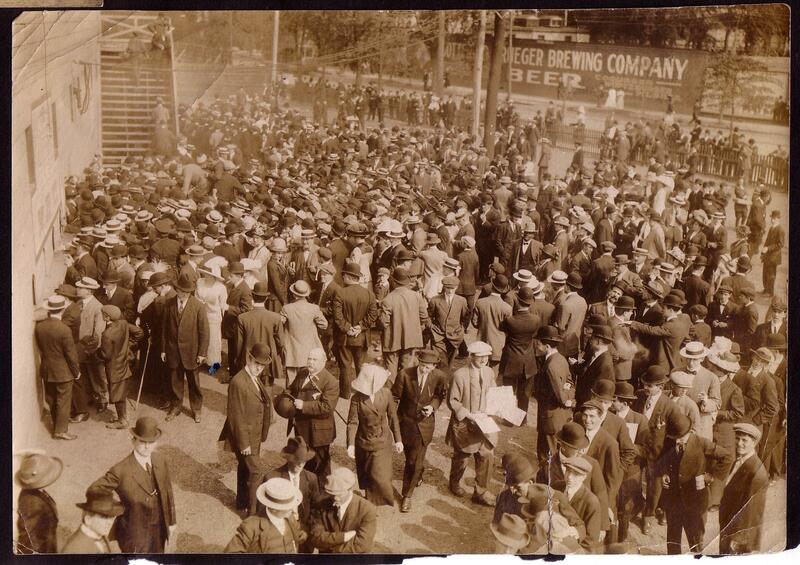 The 1912 event, like many of the weekly races, was over capacity drawing 20,000 fans even though the seating capacity of the venue was just 12,500. 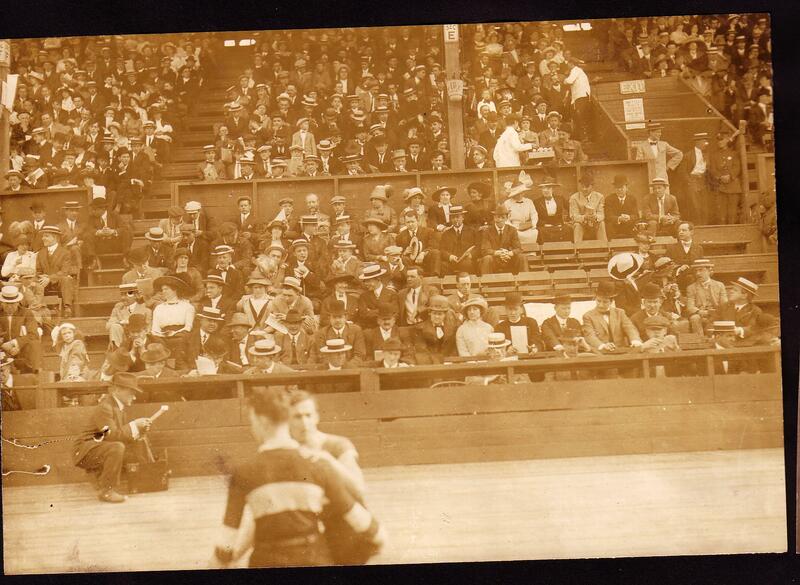 Some fans would get standing-room only infield tickets or hang out by the railings. According to Carmine Bilotti, part of the management team, the venue drew 17,000 fans twice a week during the season. 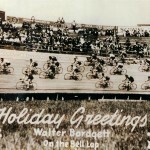 In fact, the bike races outdrew the baseball games at Ruppert stadium where the Newark Bears played. 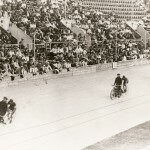 The fans who couldn’t get into the bike races spilled over and went to the Wilson Avenue stadium to watch baseball. 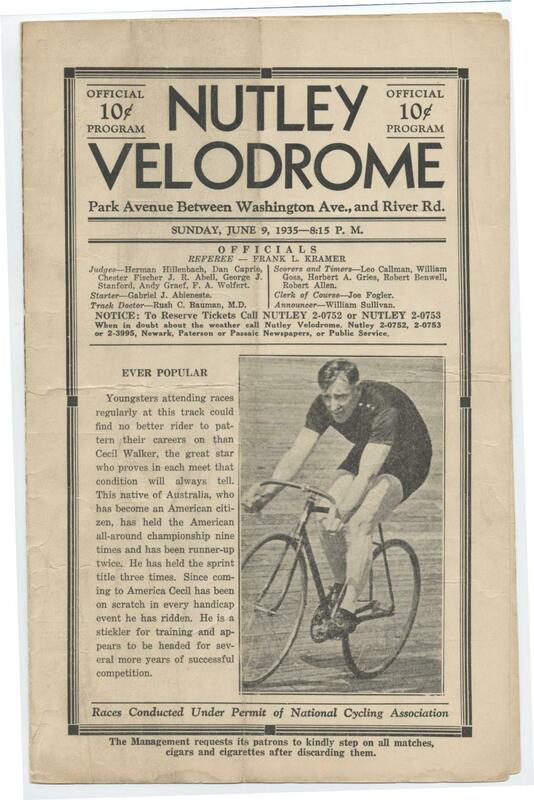 All of the cycling stars of the era raced in Newark. 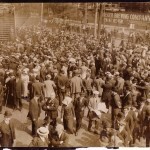 Frank Kramer, Alf Goullet, Frank Bartell, Bill Honeman and Reggie McNamara drew big crowds to the track with their exploits. 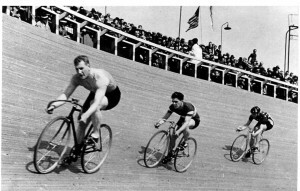 The Newark Velodrome was fast. World records fell repeatedly on the Newark boards over the years. 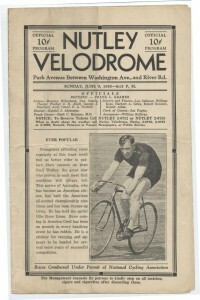 Australian cyclist Reggie McNamara set five world records from one to 25 miles at the velodrome in 1915, 1916 and 1917. If you look back at old racing programs, you’ll notice a warning that seems a little weird to us today. 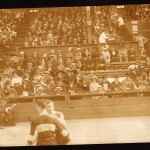 Patrons at old sporting events were constantly reminded to step on all matches, cigars and cigarettes after discarding them. For good reason. 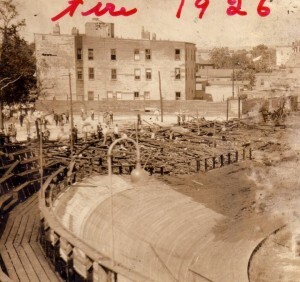 In 1926 the wooden grandstands and part of the Newark track was damaged by a fire. 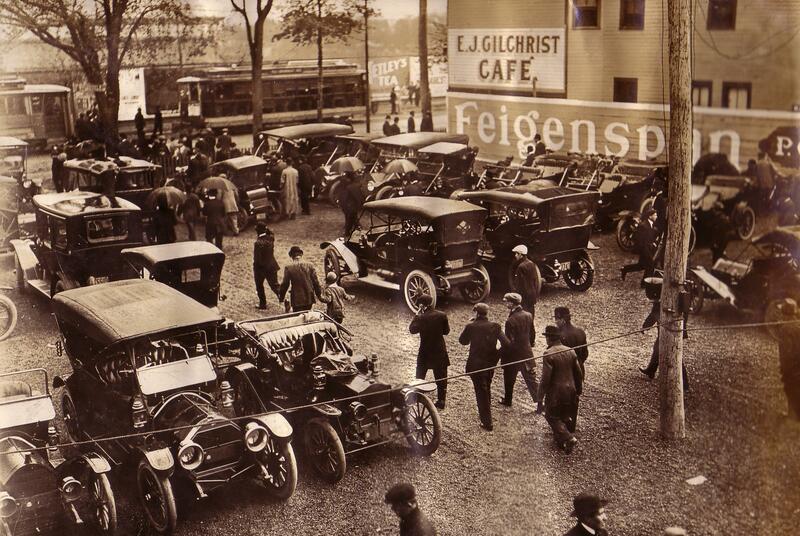 Repairs were made, and the races continued for a few more years until 1930 when the lease expired. Located on some pretty prime real estate, The aging Newark track was demolished in 1930 and replaced by an apartment building. 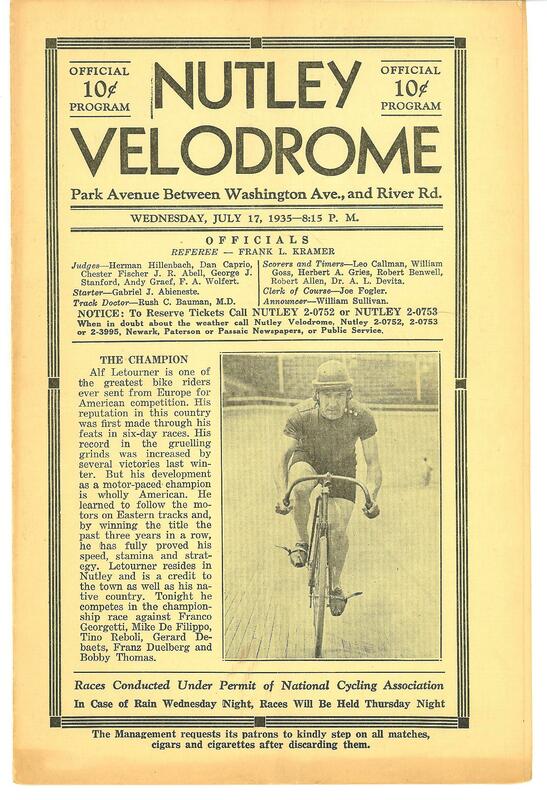 Bike racing was still a big draw in the early ‘30’s, and work began on a replacement for the Newark track, the Nutley velodrome, the following year. 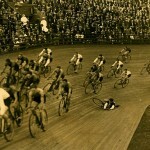 Located about ten miles north of the Newark track site, The Nutley velodrome took up where the Newark venue left off. The over-capacity crowds, the most prestigious races and the marquee names were all there at Nutley. The Nutley track, nicknamed “The Saucer”, was pretty close in size to a modern Olympic venue. At seven laps to the mile the velodrome boasted the steep sides, constant turns and fast action that we see with today’s 250 meter ovals. 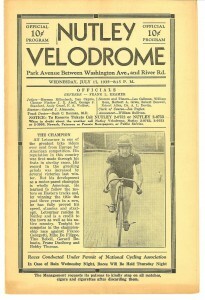 The first races at Nutley were held in June of 1933. 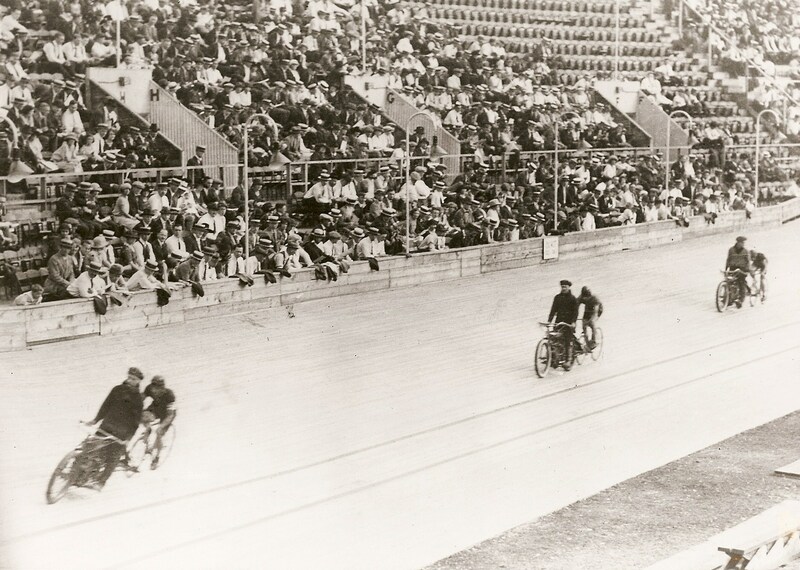 The velodrome filled to its 12,000 seat capacity for weekly bike races. There are a lot of bikes from the shop walls that (with their respective riders) thrilled the crowds. 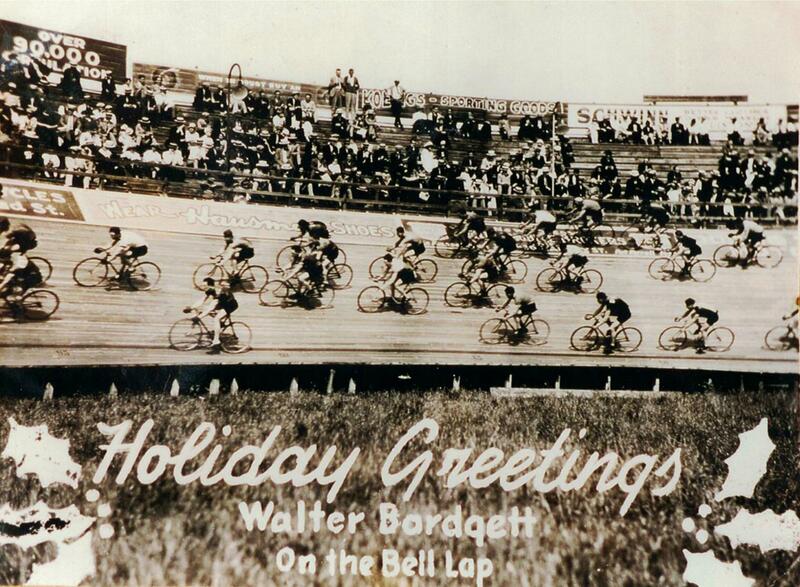 Bill Honeman, Frank Turano, Mickey Franciose, Tino Reboli, Cecil Walker, Alf LeTourner, Norman Hill, and Frank Bartell all raced on Nutley’s boards. The show didn’t last beyond the 1930’s. 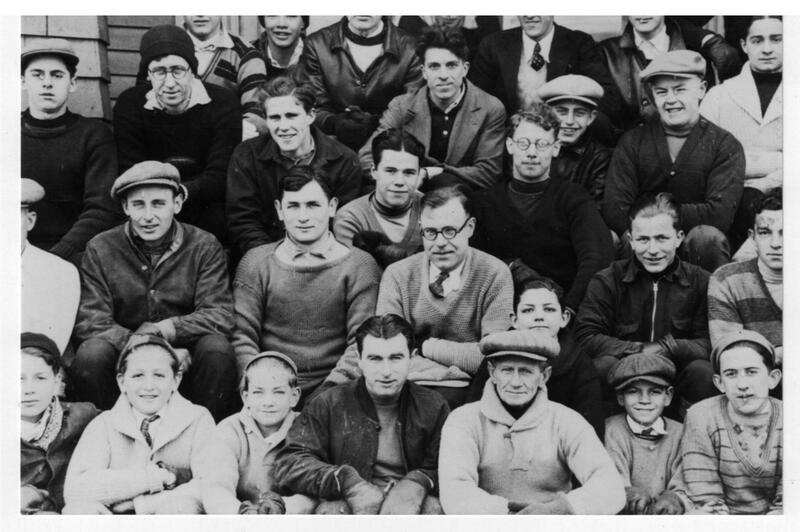 When the Nutley venue closed for the season in the fall of 1940, it was the end of an era. 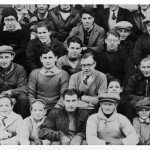 America was attacked at Pearl Harbor a few weeks later, and for the next four years, young American athletes joined the Army or the Navy, not the local cycling club. 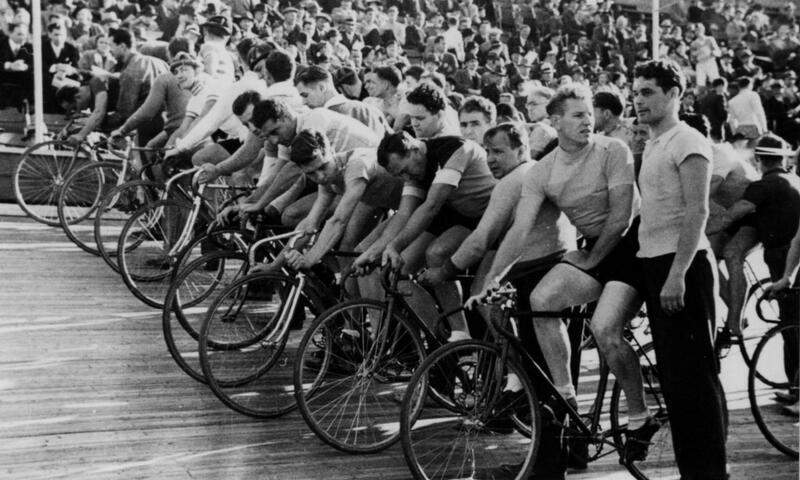 After The war, American sports fans moved on to new entertainment, and big league bike racing on New Jersey’s tracks became a relic of an earlier era. A big thanks to Jeff for all of the photos in this section. 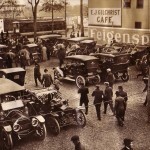 Click to enlarge them and see some great historical shots. Please do not re-post or use any of the pictures without asking permission. That’s how we started our pitch, and we managed to persuade our friend Tristan into racing the L’Eroica event in Colorado. 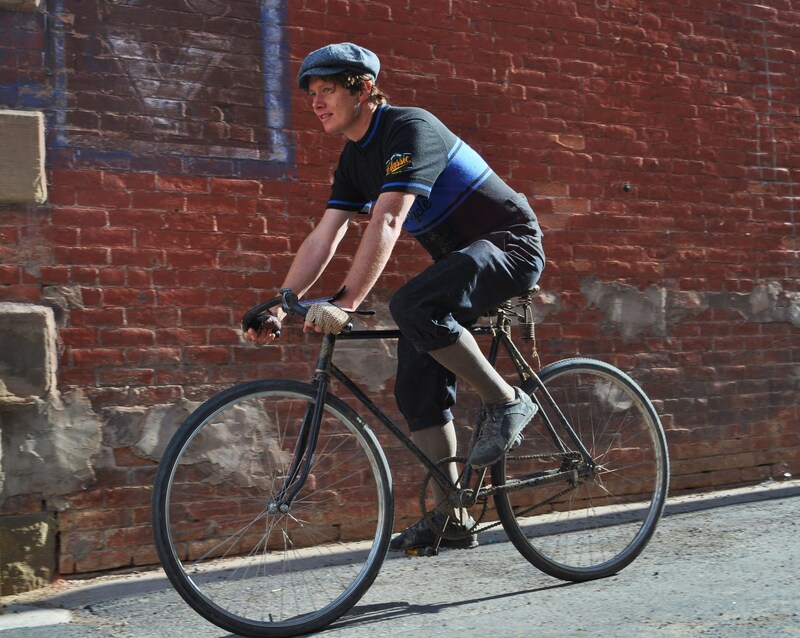 The L’Eroica is a 100 mile race from Grand Junction to Glenwood Springs and back, commemorating an event that took place between 1885 and 1915. You get extra points the older your bike is, so we set up Tristan on a 1916 Mead Ranger. He channeled his forefathers, and did the ride in wool knickers, his best Sunday shoes and shirt. Quite the ride. Up at 5, on the road at 7. Crossed the finish line shortly after 5. I think Chris Brown and I had the oldest bikes out of the 60 who turned out. Plenty of people expressed amazement at seeing something so old still rolling. And roll it did – through rain, thunder, lightning and the biggest hail storm I have ever had the displeasure of riding through. I briefly took refuge in a tractor. The bike held up through 12 miles of rutted dirt road, including a long, boneshaking downhill portion. The front wheel almost fell off, but I caught it before the bolt was on its final threads. I think the seat springs lost a bolt, and I chipped and scraped off a lot of paint. The old coaster brake did end up smoking. I cooled it down with some hail, and dropped in oil every mile or so on the long downhill. Not sure how I placed. Somewhere in the middle, I guess. 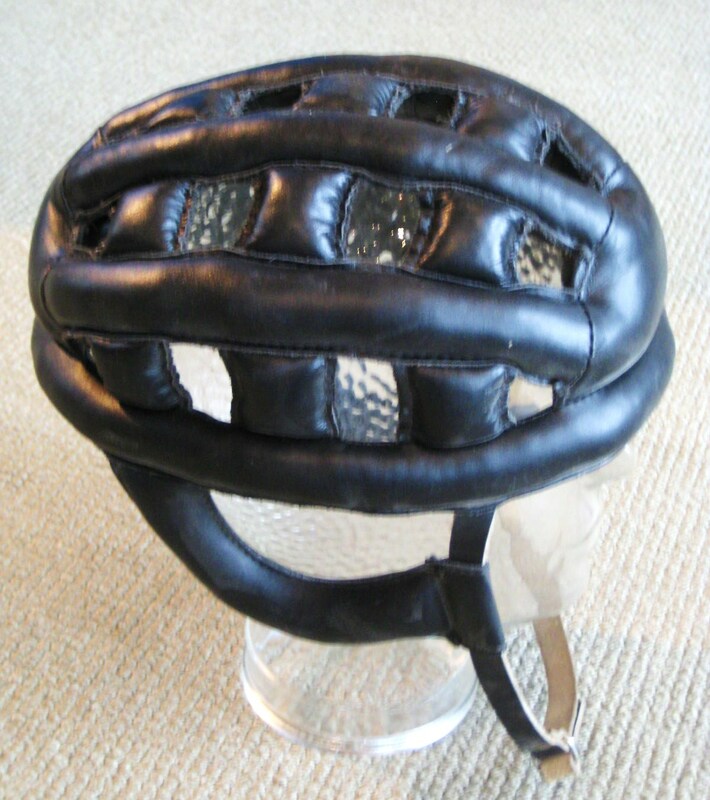 The ranking system was a convoluted work-in-progress, I think I may have been docked points for wearing a helmet rather than my wool cap. Also, I did not drink whiskey at the first rest stop, thinking I needed to stay sharp for the downhill. Apparently, you get bonus points for drinking booze…. Way to go, Tristan! You did us proud.